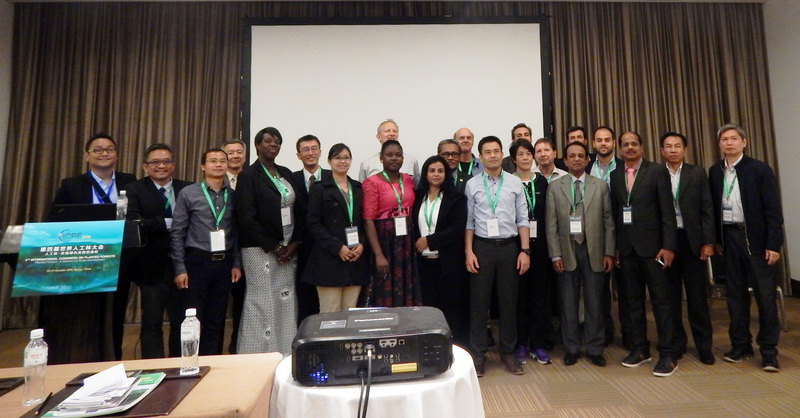 To promote interactions and share wealth of information among the stakeholders of teak wood sector, Teaknet of Asia Pacific Region was established in 1995 with the support of FAO Regional Office for Asia and the Pacific. Following the decision made in the Regional Teak Workshop 2007 India, the Secretariat of Teaknet was relocated in Kerala Forest Research Institute (KFRI) Peechi, India in 2008 in order to revitalise the functioning of Teaknet and to cater to the needs of international stakeholders. Myanmar is retained as a Referral Centre for natural teak forest management. Read More..
To promote the scientific interactions and closer collaboration among the scientific community a directory of country-wise and subject-wise researchers is made available here for easy search. By registering yourself, become a part of a global online directory of teak related researchers. To promote domestic and international processing and teak wood trade, country-wise processors and traders are listed for easy search by any body who is interested in teak processing and marketing. To facilitate the exchange of information and share the technology among the international stakeholders the country-wise contact addresses of the teak growers are listed here. Country-wise focal points are given to facilitate the contact of prominent decision makers and active organisations in teak wood sector in different teak producer and user countries. Includes bibliography of teak related research articles and publications. Information about various aspects of Teak can be downloaded from here.